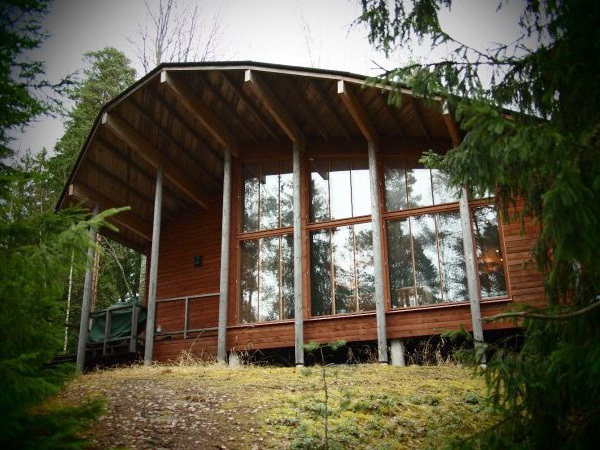 The Guild of Architecture has a cabin in the woods of Sipoo (Metsäkalliontie 46, 01120 Sipoo), which is rentable via AYY. The Cabin is run by the Cabin Foundation of the Club of Architecture, or more commonly the ‘Majasäätiö’. Currently the Cabin is rented according to the following list of rental prices. The prices are per one day (24 hours); the rental time starts at 2 p.m. and ends the next day at the same hour. Person who has a valid student card and has paid the membership fee of the Guild of Architecture for the academic year being, is entitled to a discount. The Foundation reserves all rights to change the prices listed below. * The architecture students of the Universities of Oulu and Tampere, who have paid the membership fee of the Aalto University Guild of Architecture are also entitled to a discount. The Cabin can be reserved via the AYY Rental of Facilites -portal ( https://ayy.fi/en/students/services/rental-of-facilities/ ) or at the AYY Otaniemi Service Point. The keys should be returned to the AYY Otaniemi Service Point (Otakaari 11) the next weekday. Also fill the Checklist as soon as you arrive to The Cabin. The Cabin is situated by the Pond Särkilampi in Västerskog (literally, western forest), Sipoo. The address is Metsäkalliontie 46. The location is about 25 km from Helsinki to the direction of Porvoo. The best way to reach the location is via the Helsinki–Porvoo highway or the older road to Porvoo ironically called the Uusi Porvoontie. Approaching via the highway, the closest intersection is called Västerskog. The Cabin is also accessible via busses 848 from Kamppi and 841 from Itäkeskus, which both have bus stops on a walking distance from the Cabin. If you are to arrive with a charter bus, you should not order the bus to go farther than the intersection of Särkilammentie and Metsäkalliontie, as Metsäkalliontie is quite impossible for large vehicles to drive on. 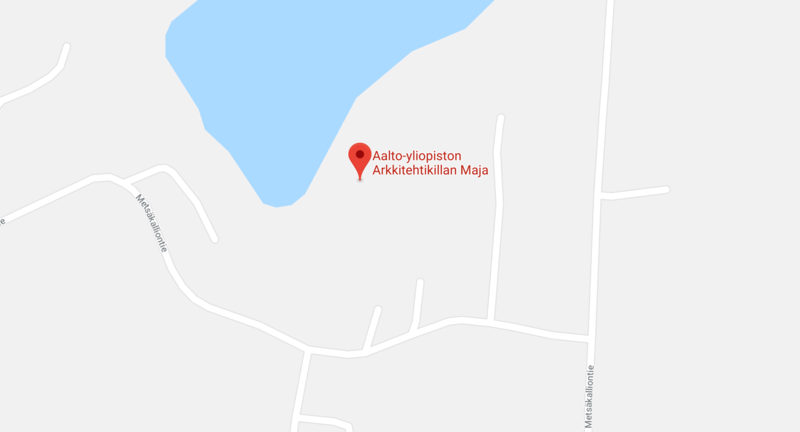 The closest shops to the Cabin are in Söderkulla, about 5 km from the Cabin. There you can find K-Supermarket, S-Market and Alko. – A kitchen with the usual Finnish stove and an oven, microwave oven, a large fridge with a freezing box, water boiler, coffee maker, pots and pans and an assortment of china and kitchenware for about 20 persons. There is firewood in the shed which is next to the sauna. For the safe use of the Cabin and the sauna, remember to carefully read the Cabin manual (black folder), which can be found in the main room. The Foundation of the Club of Architecture was founded in 1935 by Aarno Raveala and Lauri Tolonen who were students at the Helsinki Polytechnical School (later Helsinki University of Technology and now Aalto University). The mission of the Foundation has not only been to care for the upkeep of the Cottage, but also to secure a place for the members of the Guild of Architecture to practice their technical and artistic skills, to refresh and relax oneself and to do sports. Ever since the beginning it has also been a key point to share the valuable grounds and opportunities with others for a small charge. The same tradition continues with the new Cottage. Fredrika Hallenberg, Kasperi Kuusento, Pietari Sulonen, Taneli Härmä, Anni Virolainen, Niko Santanen, Anna Markkula, Anu Juvonen, Iiro Virta, Aino Hukkanen, Heini Vuorelma, Julia Hermans, Lassi Luotonen ja Matias Murole. Ecological construction guidelines and traditional methods have been implemented in the construction of the Cottage. Local and low energy-consuming materials have been favored. Also recycling has been a key point in many phases — the largest example being the body of the Cottage which is completely built of recycled logs. Traditional, simple and ecological planning and construction solutions have been a useful opportunity to learn for the students of architecture that are and have been involved in the process of building the Cottage.